Geography and weather patterns make Mt. 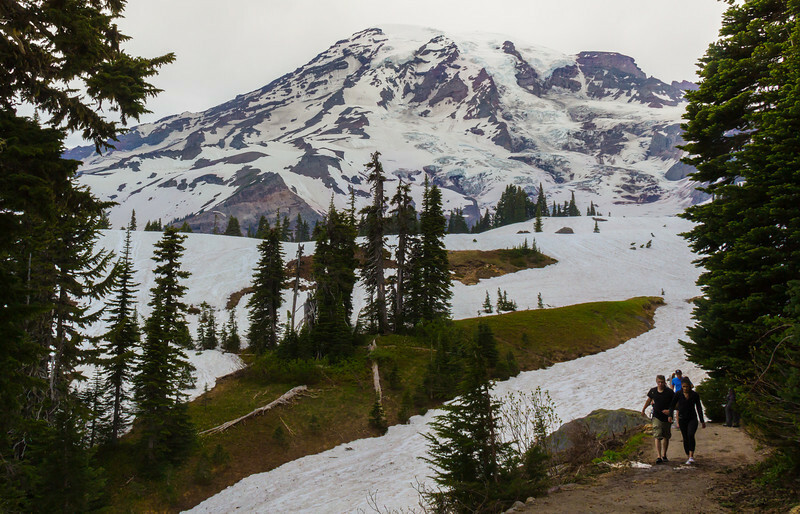 Rainier National Park the snowiest place in the U.S. where records are kept. Even in late July the trails are still mostly covered in snow, so hiking was limited during our visit in an above average snow year. Weather was good and the mountain makes a great photo backdrop. This gallery finishes with 3 photos taken in Victoria, British Columbia, Canada. Trails above Paradise Lodge were so buried in snow that getting lost and falling were real issues. Rangers strongly discouraged their use until more snow melted.